Jared Silverman is Head of Translational Discovery at the Gates Medical Research Institute. He trained as a microbiologist, working on a variety of problems in microbial pathogenesis. He previously served as Senior Vice President at Kaleido Biosciences, developing a drug discovery research platform for the microbiome. Prior to Kaleido he spent 18 years at Cubist Pharmaceuticals, the last five as Vice President, Biology. At Cubist he contributed to the discovery of three novel antibiotics that entered clinical development and led key studies into the mechanism of action of the lipopeptide antibiotic daptomycin and the mechanisms of resistance to this clinically important antibiotic. 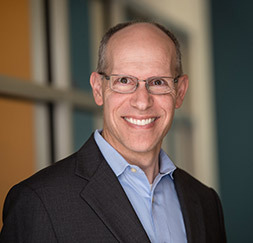 Dr. Silverman serves as an advisor to the Medical Research Council (UK) on antibiotic resistance, as an editor of Antimicrobial Agents and Chemotherapy, as a member of multiple grant review panels (NIH, CarbX) and as a consultant in antibiotic discovery. Jared holds an A.B. in Molecular Biology from Princeton, received a Ph.D. in Microbiology from Harvard Medical School and completed postdoctoral training at Yale University.